During my teenage years in Buenos Aires, I used to go with my friends during weekends to follow our football team Club Atletico River Plate. This is where I was introduced to the extreme passion that football fans have in Argentina. My last 3 visits to the country have been right in the middle of winter which meant that there was no chance of catching any domestic football matches. 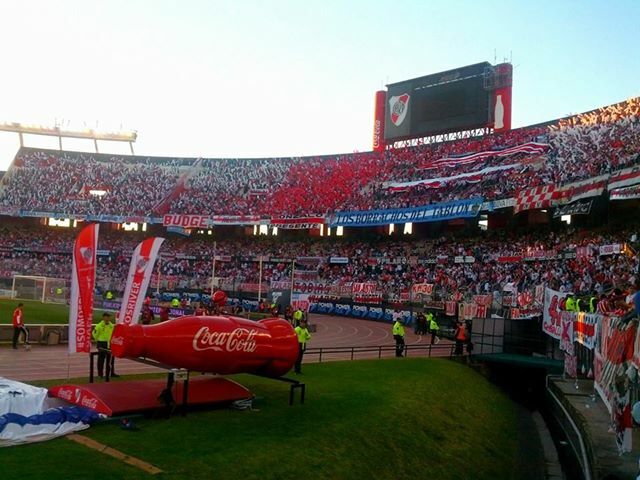 This time however I found myself in Buenos Aires when River Plate played against Rosario Central at home. Having somewhat recovered from the disappointment and football apathy following the World Cup Final loss, I made it a priority to attend this match. It had been almost 18 years since the last time I had attended a match at this stadium. In order to get the tickets, my friends and I had to open accounts at River Plate’s official website and purchase the tickets with credit cards. I then had to go the next day to the stadium to stand in line to pick up the tickets, which took over two long boring hours. 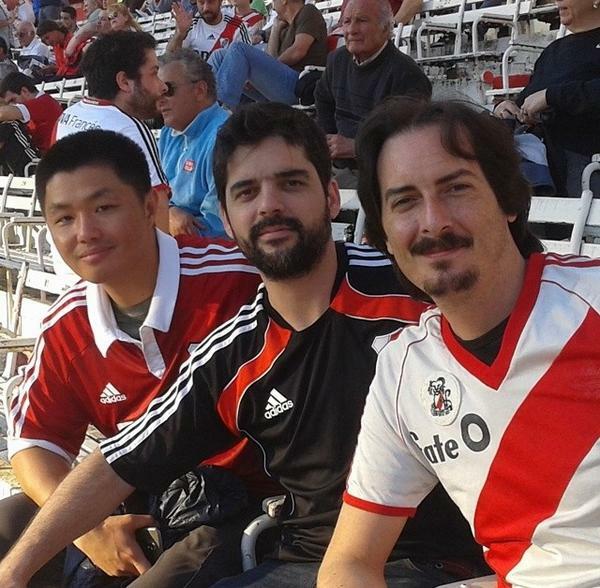 Finally, on the day of the match on Sunday, Alejandro and Sebastian and I met at our old spot of Barrancas de Belgrano, and made the half hour walk to the stadium. Security nowadays is way tighter, and the stadium have been modernized quite a bit since the old days. It was an emotional moment for me to set foot again at the place that I brought me so much joy and excitement during my teenage years. We had gotten the cheapest tickets but Alejandro knew someone at the stadium who was able to get us first row seats. River Plate ended up dominating and winning the match by a score of 2-0. I really enjoyed sharing this moment with my great friends, and reliving old memories.